Grapefruit is a healthy source of nutrients, but it also contains compounds that can affect the way some medications work. However, there is currently no evidence to suggest that eating grapefruit can affect the use of metformin. 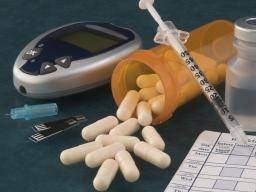 Doctors prescribe metformin as a first-line treatment for people with type 2 diabetes. Metformin works by helping to lower a person’s blood sugar levels. Doctors sometimes also recommend metformin treatment for people with polycystic ovary syndrome. Grapefruit and grapefruit juice are good sources of potassium and vitamin C, which are both essential nutrients for good health. However, the United States Food and Drug Administration (FDA) warn against eating grapefruit or drinking grapefruit juice when taking certain medications. In this article, we look at whether grapefruit interacts with metformin, and things to avoid while taking metformin. We also cover whether grapefruit is good for diabetes, and why grapefruit can interact with some drugs. Does grapefruit interact with metformin? There is no evidence that metformin is affected by consuming grapefruit. According to a 2016 review, more than 85 drugs are known to or may interact with grapefruit. The FDA require that certain medications, including some over-the-counter (OTC) drugs, carry warnings about consuming grapefruit while taking these medications. However, metformin does not carry this warning, and there is no scientific evidence to suggest that grapefruit affects the safety or effectiveness of taking this medication. Certain medications can potentially interact with metformin and may either reduce its effectiveness or increase the risk of harmful effects. Before taking metformin, it is essential for a person to inform doctors and pharmacists of any medications they are taking. Alcohol use when taking metformin can increase the risk of low blood sugar levels. People on metformin should avoid drinking alcohol or drink in moderation only. Learn more about the interaction between alcohol and metformin here. Drinking grapefruit juice may be beneficial to people with diabetes. Although grapefruit contains sugar, there is some evidence to suggest that consuming this fruit may be good for people with diabetes. Researchers do not fully understand why, but compounds in grapefruit may help lower blood sugar levels. In a 2014 study, researchers gave 25 to 50 percent sweetened grapefruit juice preparations to healthy mice that were on either a high-fat diet or low-fat diet. The study found the mice on the high-fat diet experienced falls in fasting blood sugar levels, fasting blood insulin levels, and body weightcompared to mice that did not drink grapefruit juice. However, the mice on the low-fat diet only experienced a decrease in fasting blood insulin levels. The researchers stated that the mice drank the equivalent 3.5 to 4 cups of grapefruit juice a day for an average 70 kg adult person. In a 2015 study, rats with drug-induced diabetes that drank grapefruit juice for 60 days experienced a decrease in fasting blood sugar levels compared to those that just drank water. The researchers believe that this result was due to compounds in the grapefruit juice suppressing glucose production in the rat’s livers. While these studies suggest potential benefits of drinking grapefruit juice for people with diabetes, more research is needed to confirm these findings in humans. Why does grapefruit interact with some drugs? Researchers have identified two ways that consuming grapefruit may interact with certain drugs. Grapefruit can affect the body’s absorption of certain drugs. Compounds in grapefruit called furanocoumarins can block the function of CYP3A4, a digestive enzyme that helps the body metabolize around 50 percent of drugs. Blocking this enzyme means that certain drugs stay in the body for longer than normal and build up in the bloodstream, which can increase the risk of harmful effects and, in some cases, can be fatal. The effect of furanocoumarins on CYP3A4 is irreversible, and it can take the body around 3 days to produce new CYP3A4. Even as little as 200 ml of grapefruit juice, which is less than 1 cup, can be enough to cause this interaction. Grapefruit juice also contains flavonoids, including naringin and hesperidin. Research shows that these flavonoids can block a protein called organic anion transporter polypeptide, or OATP. This protein helps the body move drugs into cells. This means that consuming grapefruit can decrease the body’s absorption of certain drugs, making them less effective. However, this interaction is only temporary, lasting around 4 hours. So, people taking medications that rely on OATP for absorption may be able to still consume grapefruit products if they leave a 4-hour gap between taking the drug and having the fruit. The body does not metabolize metformin at all, and there is no interaction with CYP3A4. Instead, metformin passes through the body unchanged and leaves through a person’s urine. The lack of metabolism is the reason why grapefruit does not interact with metformin. Although grapefruit and grapefruit juice are healthful and nutritious, compounds in them can affect the safety or effectiveness of a wide range of medications. The FDA requires these medications to include a warning to people consuming grapefruit while taking the drug. Metformin does not carry this warning, and there is no evidence to suggest that grapefruit can interact with metformin. This is because the body does not metabolize metformin and so this medication is not affected by grapefruit’s ability to block the function of CYP3A4. When taking any medication, it is vital to always read the packaging carefully and follow instructions from doctors and pharmacists.